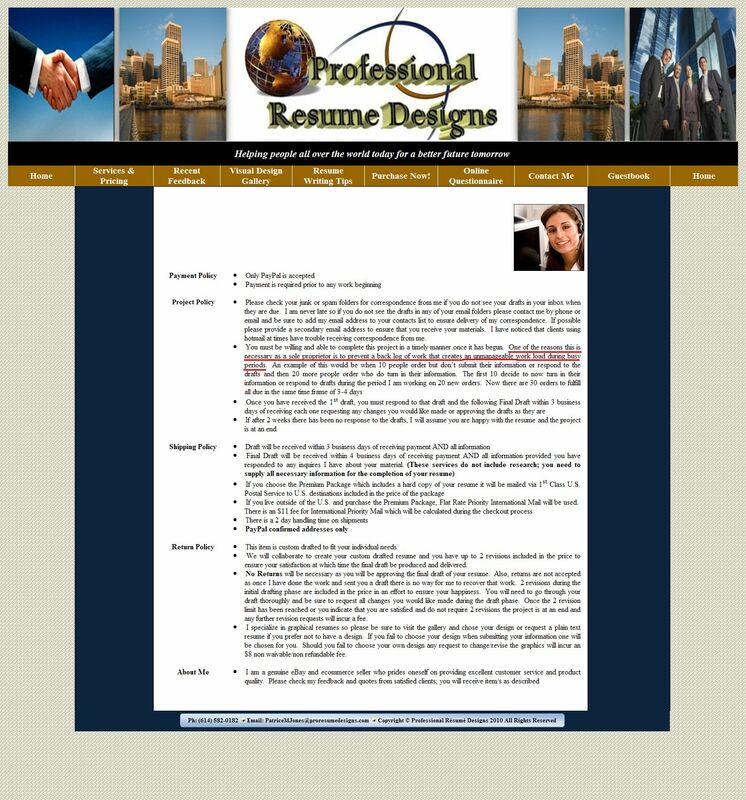 Here is a Craigslist advertisement for Affordable Resume Preparation. Perhaps the author ought to give back all the degrees he brags about holding. I am state certified in Business Technologies, Resume Writing & Professional Writing. The above sentence is yet Another example of How you should capitalize Words that you want to Emphasize because, You know, those Words are Important and you want Them to stand out. One of the reasons this is necessary as a sole proprietor is to prevent a back log of work that creates an unmanageable work load during busy periods. If anyone out there can divine what that means, please let me know. Also, returns are not accepted as once I have done the work and sent you a draft there is no way for me to recover that work. Our so-called expert in MS Office applications apparently cannot save intermediate revisions.